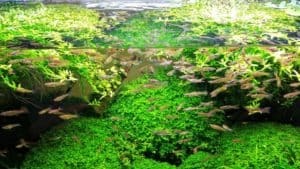 Increased levels of ammonia and nitrates are a common thing in new tanks because the bio filter is yet to start the whole filtration and bacteria sustenance process. This is called the “new tank syndrome”, and is one of the most occurring reasons why fishes and other aquatic species die in new setups. On our quest to save your aquariums and water babies, we scoured through a lot of stabilizers. But the one product that we have been hearing a lot about is the Seachem Stability water stabilizer. The Seachem Stability water stabilizer is said to be THE thing to get to prevent new tank syndrome, and we want to put it to the test for you today through our review. Is it really a product worth the praises, or is it just empty hype? Let’s find out together! From your first look at the Seachem Stability water stabilizer, it doesn’t look any different than your average and general tank stabilizers. It comes in a very standard packaging; white bottle, open mouth and a cap. You get about 500 ml, or half a liter, of product in each bottle. The one we’re reviewing comes in a pack of 2, so you get 1000 ml, or a litre, of Seachem Stability water stabilizer. The consistency of the liquid is slippery and smooth, and it doesn’t seem to have any odd smell odor to it. There’s definitely a slight chemical smell to it, but it is in no way too strong or pungent. Alright, that’s the face value. Now, let’s dig into the more important stuff! The Seachem Stability is a water stabilizer. It is formulated to keep the nitrate and ammonia levels in control which is all too common in tanks, especially new set ups due to the newness of the bio filter. So, how well does the Seachem Stability water stabilizer do its job? Well, first of all, you will need to know about its properties. This formula is made up of a synergistic blend of aerobic, anaerobic, and facultative bacteria which allow the breakdown of waste organics, ammonia, nitrite, and nitrate to keep the water in your tank healthy, odorless and clear. The bacteria used by the Seachem Stability Water Stabilizer are non sulphur fixing and moreover, will not produce toxic hydrogen sulphide. As a result, the integrity of your water, like pH, is left untouched. The thing with tank chemicals like stabilizers and conditioners is that, at least in case of the bad ones, they tend to manipulate and change the stats or properties of the water. The Seachem Stability Water Stabilizer, on the other hand, is a formula that has been put together and designed with almost a decade of concepts and thoughts and tests. This formula is harmless to all aquatic species and plants with no danger of overuse! It also does not change the hue of the water or affect its clarity. The bacteria in the Seachem Stability Water Stabilizer are maintained in strict parameters so as not to affect the temperature, pH, etc. Exactly what you want from a proper and safe tank stabilizer. 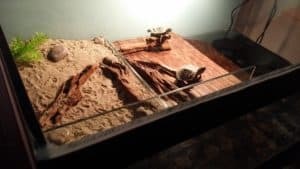 If there’s anything we learned in our time being an aquarist, it’s that not all products work for all tanks or setups. Not that that’s a problem, but it is definitely a hassle and fuss. 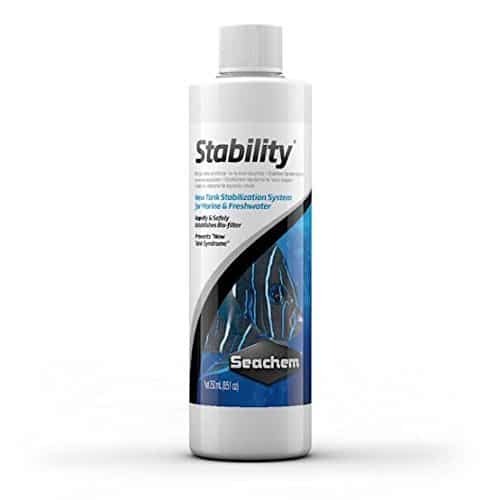 The Seachem Stability Water Stabilizer however, has been formulated to work in both fresh and saltwater aquarium. Definitely a great convenience for aquarist looking a more versatile product. The usage and dosage of the Seachem Stability Water Stabilizer is pretty simple. You must first begin by always shaking the bottle before use. Next, turn off the UV sterilizer or ozone reactor. Now, for the main part. On the first day, you need to use 1 capful, or 5 ml, for every 40 liters or 10 US gallons. From then on and until the next 7 days, you need to use 1 capful of the Seachem Stability Water Stabilizer for every 80 litres or 20 US gallon. 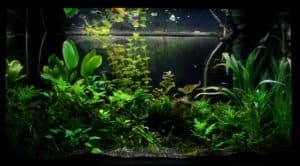 For the best results, use a capful once a month on the regular or with each water replacement and introduction of new fishes, or whenever medicating an aquarium. The Seachem Stabilizer is a good to have product. 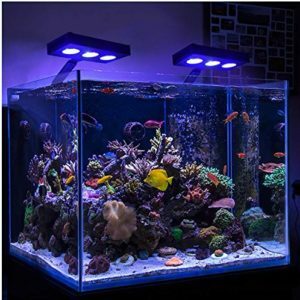 But if you are just beginning your aquarium, it is better to stick to the basics and go through the complete aquarium cycling. 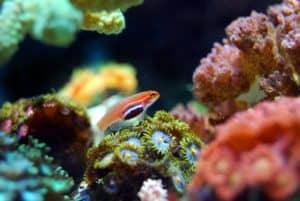 Seachem stabilizer may help in emergency situations or to fire fight while adding new fishes in the tank but it is never the replacement of biological filtration. And you need time to properly cycle the bio-media. Seachem Stability may help to speed up the process. How long is the shelf life of this product? Answer: The shelf life is about 4 years from the date of manufacture. Will it target cloudy water? Answer: It is a water stabilizer and is meant and formulated to keep ammonia and nitrates on check to establish bio filtration. It isn’t a clarifier and won’t clear up cloudy water. Having said that, it does help the process. Do I need to turn off the protein skimmer when using it? Answer: The protein skimmer can be left on. No problem. That was our detailed and honest review of the Seachem Stability Water Stabilizer! The Seachem Stability Water Stabilizer is undeniably a very worthy product. It does what it says, or at least tries to. Having said that, there seems to be an awkward case of consistency where many users didn’t feel any change after using the Seachem Stability Water Stabilizer….at all! If anything, they lost fishes in the process. Either way, the majority of its users seem to sings only good about it and we are very sure that should do its trick on your tank. Give it a shot! Just might do the trick for you. With this, it’s a wrap. We will see you next time with yet another product review soon. Cheers!